Every year on April 5, Taiwan honours its dead with a special festival. The festival is called Qingming, but it is often referred to as Tomb Sweeping Day. In Mandarin, Qingming is roughly translated to “Pure Brightness Festival,” and the day is intended for people to go outside and enjoy the spring weather while paying respects to their ancestors. 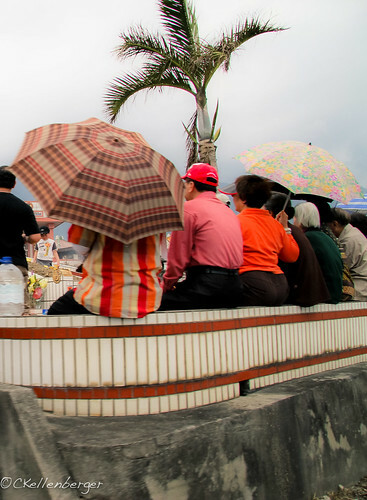 On Tomb Sweeping Day, the people of Taiwan traditionally go on family outings to visit the graves of their departed relatives. The families will usually pray at each grave site before sweeping and cleaning the grave as a sign of respect. Some families will even sing and dance at the gravesites and offer food and wine to the deceased. Willow branches are a very common sight on Tomb Sweeping Day. It is believed that willow branches will fend off the evil spirits that roam around on Qingming. As such, people will carry willow branches with them, and some will even hang the branches from their front doors. Another Qingming tradition you’re sure to come by is a bite-sized snack called caozaiguo. Caozaiguo consists of sweet dough made with rice flour, sugar and East Asian herbs that give the snack a green colour. The dough is then usually filled with ground meat or bean paste. Since 1975, Tomb Sweeping Day has always been observed in Taiwan on April 5, in order to honour the death of Chiang Kai-Shek, a Chinese political leader who ruled Taiwan for 30 years. Chiang’s legacy is the subject of much debate in Taiwan, but Tomb Sweeping Day is still recognized every year on the anniversary of his death. 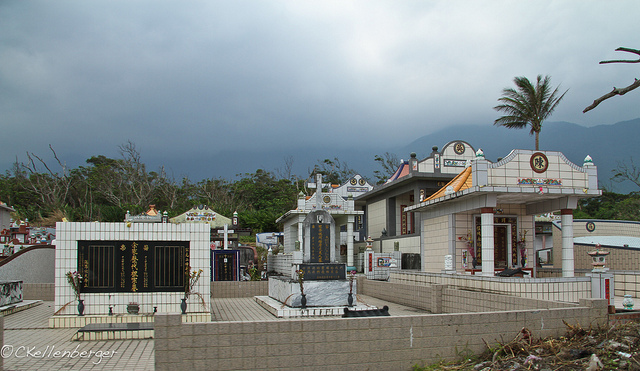 For Canadians in Taiwan that are looking to take part in the festival, the Danshui Foreign Cemetery in Taipei is the perfect place to go. Many Canadians are buried in the cemetery, and the Canadian Chamber of Commerce has been maintaining the grounds every Tomb Sweeping Day since 1984. Don’t miss your chance to take part in this unique and meaningful festival!